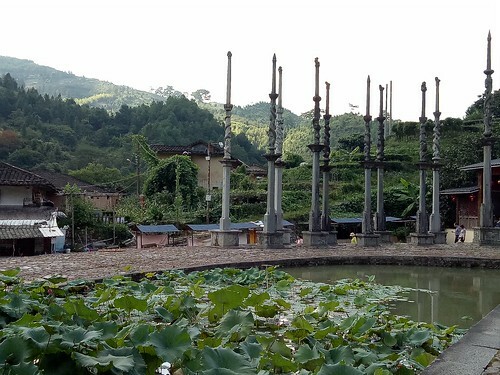 Taxia 塔下 is a small, picturesque Hakka village flanked by hills in the north and east, situated in Nanjing County, Fujian Province. A couple of legends explain the origin of the name “Taxia”. Some say that there was formerly a pagoda on top of a hill here, but it was demolished for Fengshui reasons. Thus, there is no pagoda at Taxia today. 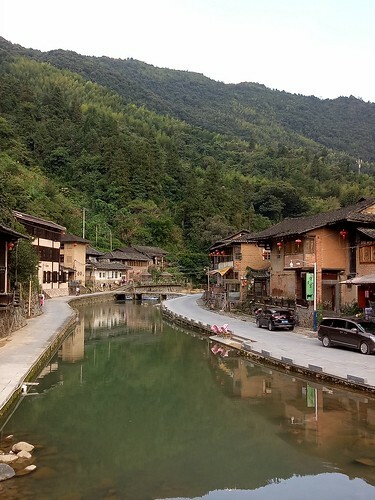 Others believe that Hakka people who migrated here from the mountains “stepped down” to this forest and made it their home. The Hakkas called this migration 踏下 or “tub har” which got written as 塔下 (also sounds like “tub har” in Hakka) by Mandarin speakers. 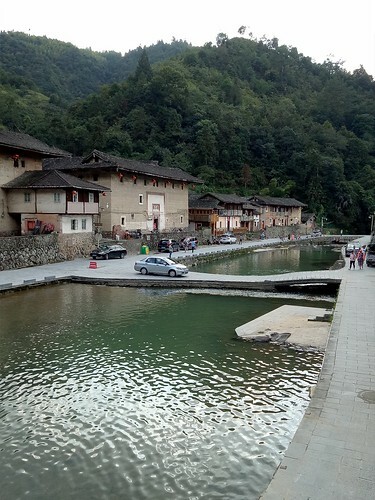 The original inhabitants at Taxia, all bearing the surname Zhang (Chong), arrived here during the Ming Dynasty. Slightly larger villages would have families bearing 2 or 3 different surnames. With only a single extended family (brides are taken from neighbouring villages), Taxia is indeed very small. A stream runs through the length of Taxia, supporting the needs of this humble agricultural community over several generations. 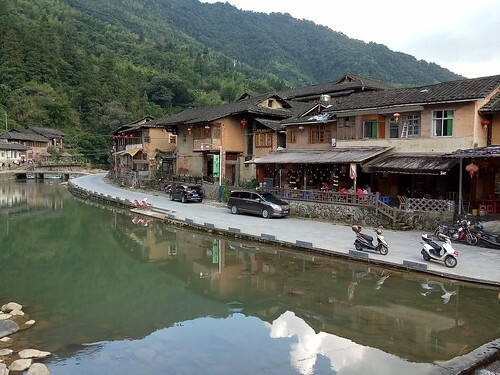 As Hakka communities are mostly small and dispersed, with very little arable land, resources were limited and residents were poor. The mud buildings here are all squarish or rectangular. The embankments on either side of the stream are now paved with stone bricks, wide enough even for tour buses. 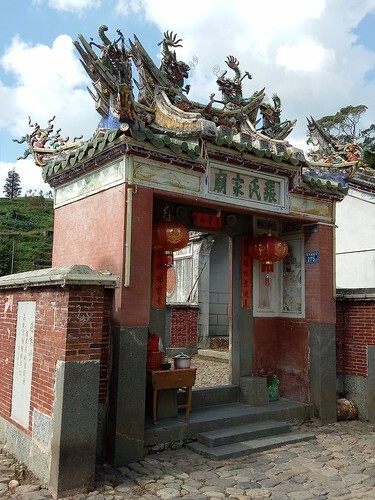 The spiritual centres of the Hakka communities, the village shrines which housed their ancestral tablets, were often very small and unpretentious. A village like Taxia only had the means to build a very simple shrine, but being a tourist attraction today, it is now very well-maintained with touts selling sweets, drinks and cigarettes at every corner. The village shrine is a must-see here for it provides clues as to how a small and impoverished community here could have not only survived but thrived over several generations. 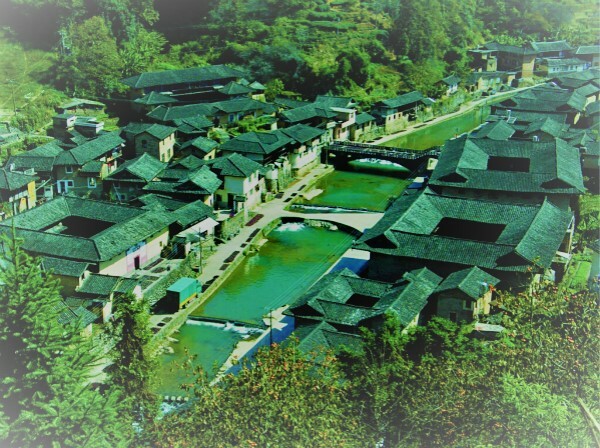 Central to Hakka family values, are the concepts of gratitude and filial piety. 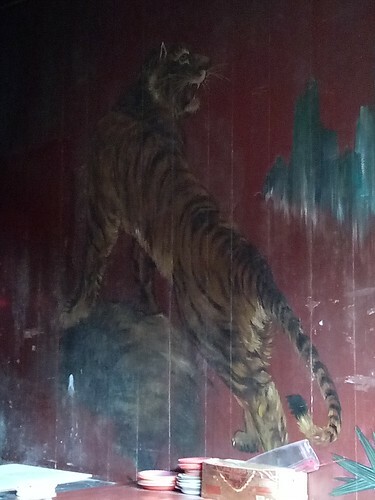 Since the first drought, flood, war or famine struck, the Hakka people had recognised the necessity to move out and seek fortunes in distant lands, like a tiger going up the mountain, bravely venturing into the unknown to hunt for food. 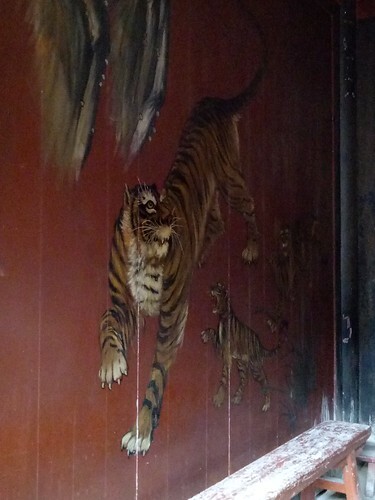 The second part of this success story is the tiger who returns to the village to contribute and nurture the next generation. The success of Taxia village can be attributed to all the successful “tigers” who had returned to contribute to village funds and scholarships. Proud of the achievements of its residents who had ventured out, Taxia residents honour them with flag poles. 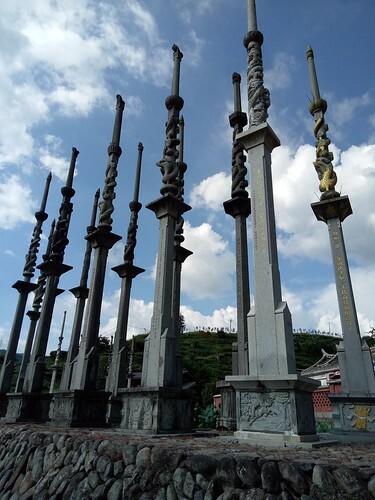 From 1772-1904, the villagers at Taxia erected 14 of these flag poles, each one of of these poles represents a scholar or someone of great achievement. Check out the number of poles and imagine a small village like Taxia producing so many outstanding individuals! With the end of dynastic China and the imperial examination system, no flag poles were erected for the next 76 years. In 1978, the 15th post was erected in honour of the first female achiever. From then on, flags could be erected for both male and female achievers. The 24th post was erected by a Zhang (Chong) living in Thailand.